The US Department of Energy (DOE) recently announced a USD2 billion loan guarantee program aimed at facilitating financing and development of energy resources, products or services on Native American and Alaskan Native lands – the first time the program has been extended to include them. As much as 90 percent of unpaid principal and interest on loans taken out by recognized Native American or Alaskan Native tribes to carry out projects may be guaranteed via the Tribal Energy Loan Guarantee Program, as it’s known. Tribal borrowers need to invest equity in projects and all project debt needs to come from non-federal lenders, explains the DOE Loan Program Office (LPO), which administers the program. 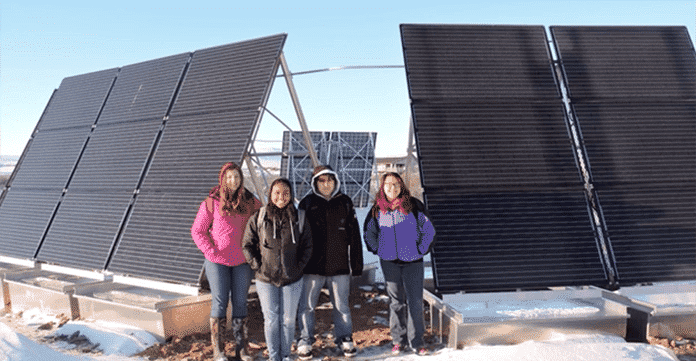 Some see the DOE loan program as the key that could catalyze local renewable energy resources and battery energy storage development on US tribal lands. 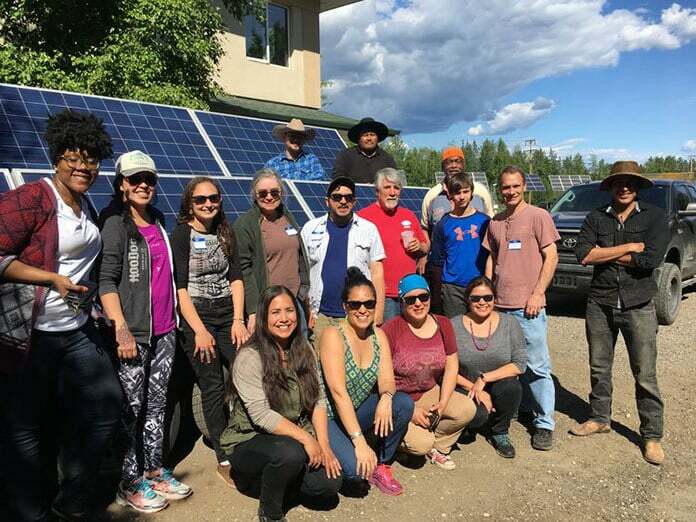 The DOE Tribal Energy Loan Guarantee Program is an “all of the above” energy resources development program, however, an LPO spokesperson explained to Solar Magazine. Tribal Energy loan guarantees may be awarded to applicants aiming to develop fossil fuel projects – shale oil and gas extraction and production, a coal-fired power generation facility, or natural gas pipeline, for instance – or to those that intend to develop more environmentally friendly renewable energy or smart grid projects, such as solar or wind power farms or battery-based energy storage projects. Regardless of the technology or energy resource involved, the focus is on providing federal, DOE loan guarantees to projects that make use of commercially-proven technologies. “Ultimately what gets funded will be what the market brings to the program,” according to the DOE. Nonetheless, some in the renewable energy and battery-based energy storage industry see the new, USD2 billion Tribal Energy Loan Guarantee Program as a potential key that unlocks the door to development of a vast amount of untapped clean energy resources. 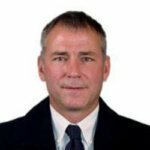 The Tribal Energy Loan Guarantee Program should benefit all stakeholders – local communities and governing authorities, project developers, lenders and investors, according to Stefan Schauss, executive director of CellCube Energy Storage, developer of vanadium-ion flow battery technology and systems based in Vancouver, Canada. The DOE loan program can stimulate creation of businesses on tribal lands that create jobs and improve energy access, reliability and resiliency by enabling local communities to generate emissions-free, environmentally friendly electrical power, Schauss said in an interview. Furthermore, the environmental and social costs of conventional energy development have yet to be fully factored into or accounted for in conventional economic and financial models, Schauss pointed out. Projects that make use of the latest digital, distributed solar and wind power generation combined with battery-based energy storage resolve those issues, and they’re now as inexpensive, or in some cases, cheaper than developing equivalent fossil-fuel based power generation, transmission and distribution capacity, he explained. Conventional power generation, transmission and distribution can be very costly. 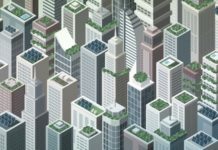 Decentralized, digital battery-based energy storage and renewable energy systems can alleviate that burden while at the same time preventing carbon-fuel dissemination into the environment. The benefits include cleaner air and water resources, which makes for a much more viable case. “We probably can’t eliminate fossil fuels entirely, but we can reduce their production and use significantly. 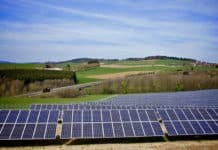 That includes co-locating distributed renewable power generation and battery-based energy storage with conventional, fossil-fuel power generation,” Schauss told Solar Magazine. 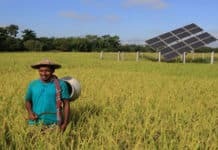 Digital, distributed solar energy and battery-based energy storage systems are proving to be cost-effective and much better suited than their traditional, conventional counterparts when it comes to expanding access to safe, reliable energy to hard-to-reach places and communities across a growing swath of the developing and lesser developed world. Similarly, the DOE Tribal Energy Loan Guarantee Program can help catalyze development of local, renewable, as well as conventional, energy resources and modern energy control, management and distribution systems on Native American and Alaskan Native lands, Schauss added. The costs of deploying, and integrating, distributed solar energy and battery-based energy storage systems continue to decline, and the rules governing markets and industry are changing in parallel. DOE tribal energy development loan guarantees will improve the “bankability” and hence facilitate project development. “Overall, we’re migrating in the direction of being able to create vital, healthy systems and markets for local clean energy services and products without the need for government support and incentive programs,” Schauss said. Schauss believes that if all goes well, construction of an initial set of loan guarantee program projects could begin, or perhaps even be completed, by mid to late 2019. For its part, CellCube is carrying out some pre-engineering studies with an eye towards working with a Native American or Alaskan Native organizations to obtain DOE loan guarantees for prospective projects that would make use of its flow battery-based energy storage technology, in particular when paired with solar power generation. That spans a range of system sizes, from utility-scale down to the community level, Schauss explained. Energy, mineral and natural resource development on Native American and Alaskan Native tribal lands has been a keystone of agricultural and economic development, as well as urbanization and population growth, throughout the US West. Besides publicly voicing and demonstrating their opposition to conventional energy project development on their lands, such as the Keystone XL pipeline, Native American and Alaskan Natives have been looking to carry out more sustainable and locally beneficial renewable energy resources development. The topic continues to be a contentious and hotly debated one, both inside tribal communities and more broadly in Washington, DC and nationwide. Tribal lands represent 5.8 percent of land area for the contiguous US. They hold around 6.5 percent of national renewable energy potential, however, according to DOE National Renewable Energy Laboratory’s Tribal Energy Atlas. Furthermore, poverty levels in Native American and Alaskan Native communities is the highest in the Western Hemisphere. “On a project basis, applicants do need to demonstrate the measurable benefits of the project to one or more tribes, as applicable. On a broader overall basis, the goals of TELGP are to increase availability of commercial debt financing to tribal communities (similar to what LPO did with the utility-scale PV market) and provide economic opportunities to tribes through energy development projects and activities. The Tribal Energy Loan Guarantee Program was created by federal US Energy Policy Act of 2005. Initial funding – USD8.5 million for credit subsidy costs and USD500,000 for administrative costs – occurred in Fiscal Year 2017. In addition to Native American and Alaskan Native organizations, the DOE loan guarantee program is open to projects partially owned by non-tribal participants. Energy Secretary Rick Perry delegated administration of the program to LPO in February 2018. LPO worked closely with colleagues in the Office of Indian Energy Policy and Programs in order to reach out to and solicit feedback from tribal leaders over a period of five months to pave the way for the launch of the program. The agency issued the first Tribal Energy Loan Guarantee Program Solicitation on July 17 this year. The Tribal Energy Loan Guarantee Program differs from other DOE loan programs in that it is structured as a partnership between eligible lenders – commercial banks or other non-federal lenders with relevant qualifications – and the DOE. A Native American or Alaskan Native tribe seeking to obtain a loan guarantee would apply to an eligible lender, which in turn would apply to DOE for a guarantee. The tribal loan program also allows for projects to be partially owned by non-tribal participants. What a fraud upon We, the People and the United States Constitution! The U.S. taxpayers are already pony-up some $20-billion per year to give to some 1.7-million enrolled tribal members for free: food, heath care, housing and education none of which is accountable to the taxpayers…in short, no one knows where the money goes and now some $2-billion more taxpayer dollars are being given faux tribes without meaningful accountability of use. What a fraud upon the U.S. Taxpayers.